Chana is known to be one of the most preferred and nutritious dishes of North India. 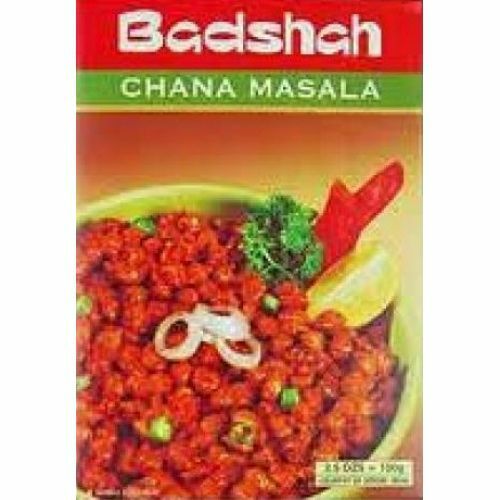 Badshah Chana Masala helps camouflage the bland taste of Chana and makes it a mouth watering treat for all occasions. It blends very well in the curry, giving it a unique aroma with traditional taste and flavour. Ingredients: Chilly, Amchur, Salt, Cumin, Black Salt, Coriander, Black Pepper, Fennel Seeds, Ginger, Ajma.